Sweet Nothings' nutritous and tasty flapjack bites are baked with no added-sugar! They are also gluten-free, dairy-free, free from preservatives and suitable for vegetarians and vegans. 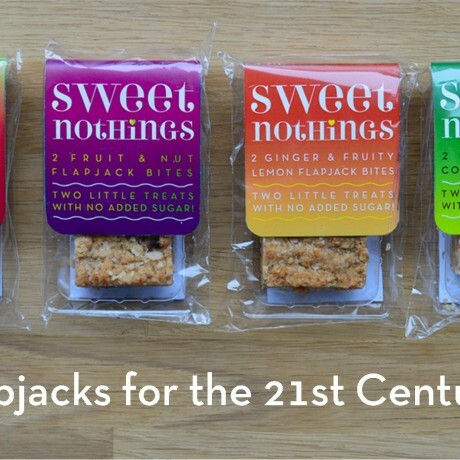 They have a long shelf-life (up to 6 months), and are baked using coconut oil, apples and gluten-free rolled oats, plus a little citrus oil, spices, nuts and dried fruit, depending upon the flavour you choose. 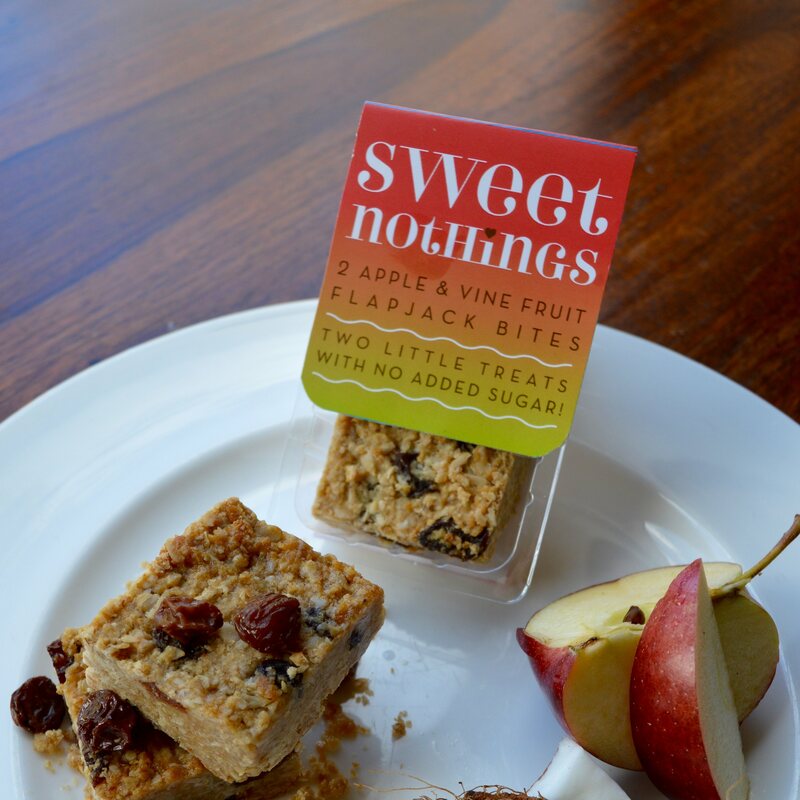 This particular flapjack product is Apple + Vine fruit. Delicious! Each pack contains two bite-size portions, and total weight of product is approx 68g between the two "bites"